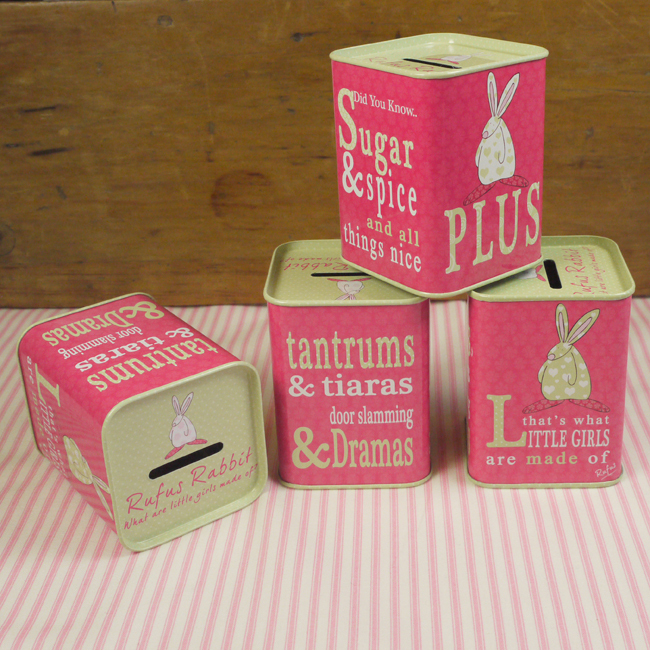 Girl Money Tin by Rufus Rabbit. Perfect as a first birthday or practical christening gift. 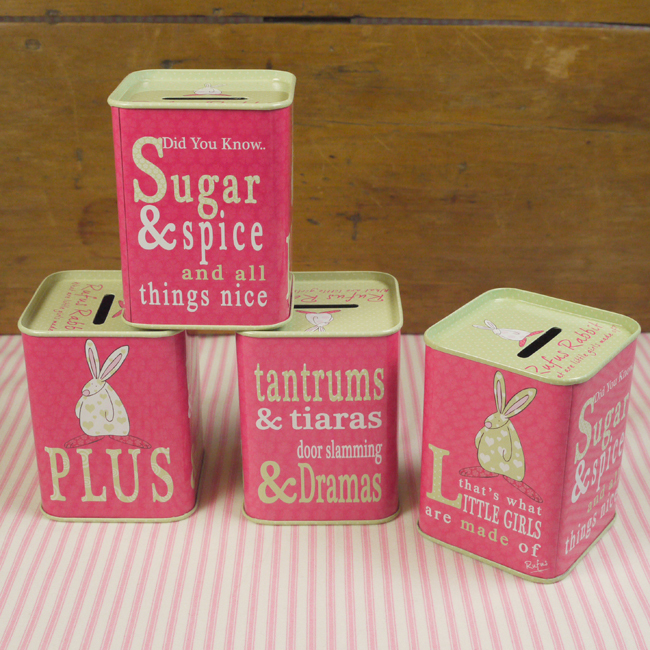 We are overjoyed with the quality and colour of this girl money tin and hope that you love them too. Please note that they arrive empty, we’ve spent the money on sweets. 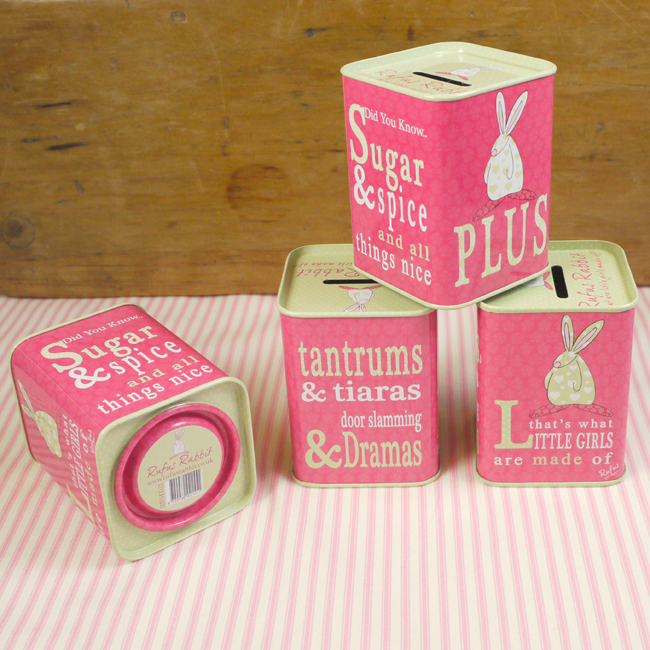 A popular gift line for first birthdays and christening presents. 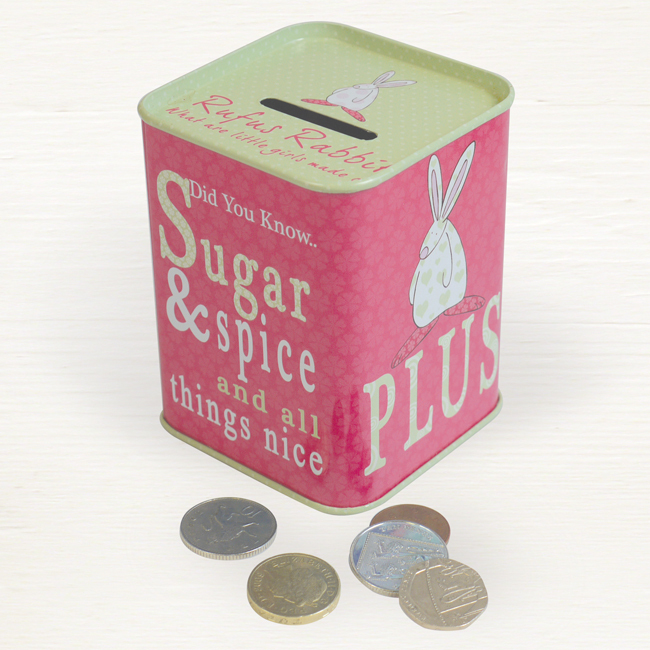 Did you know this little Rubie Rabbit Sugar & Spice money tin is a bit like the tardis in that it looks small from the outside but can hold over £200 in £2 coins. Now that’s something worth counting on a rainy day!